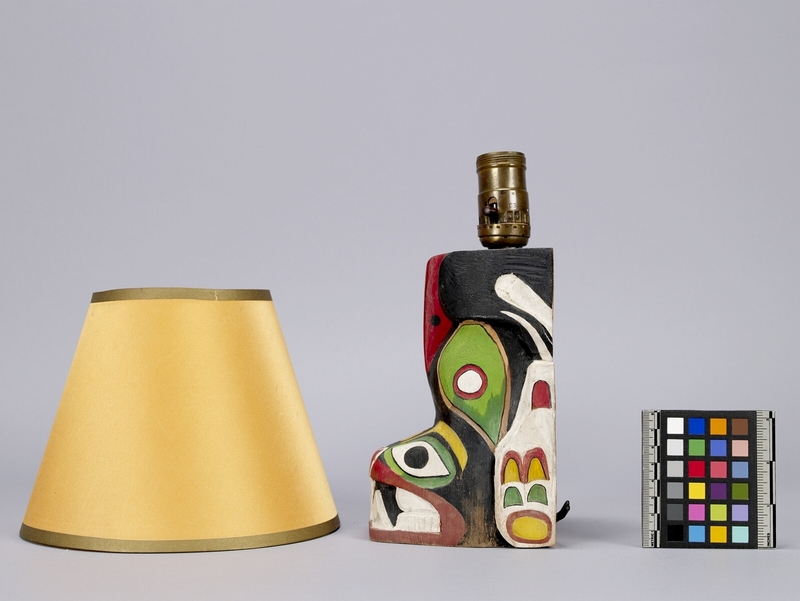 Item number 1432/1 a-b from the MOA: University of British Columbia. 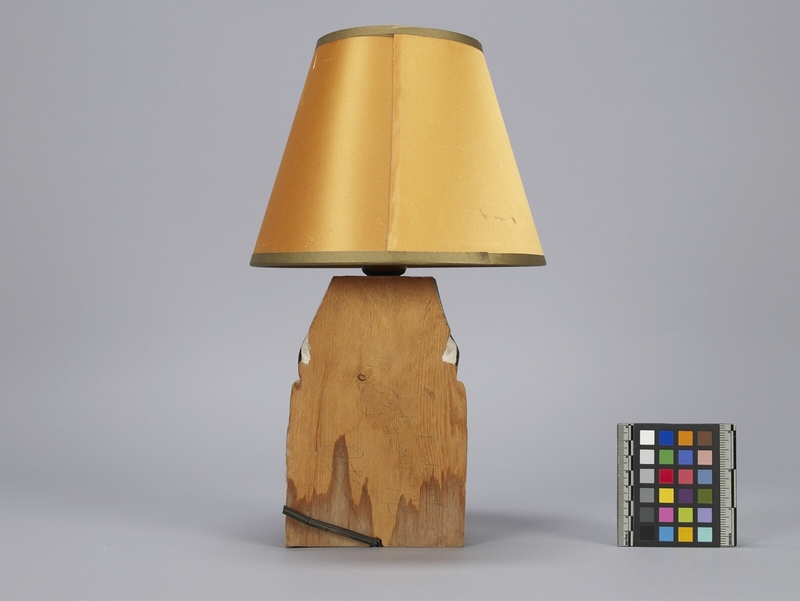 A wood lamp carved and painted with a metal light bulb holder (part a) and a lamp shade (part b). The lamp (part a) is black and has an animal with an open mouth at the bottom. The eyebrows are yellow, and the black oval eyes are outlined with green. The lips are red with white fangs and molars. The red nose is outlined with white. Above, in the front middle, there is a long vertical red piece. Above, at each side, there is a green upside down tear-drop-shape outlined with brown and having a white circle outlined with red in the middle. Back, at each side, there is a white feature with yellow, red, and green designs. 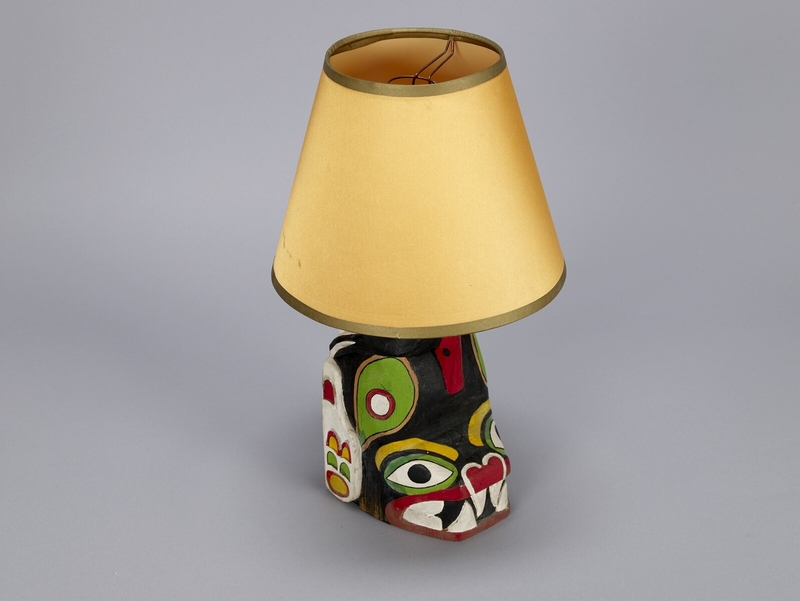 The lamp shade (part b) is made of orange fabric outlined with a gold-coloured rim along the top and the bottom and has a metal frame which fits onto a light bulb.